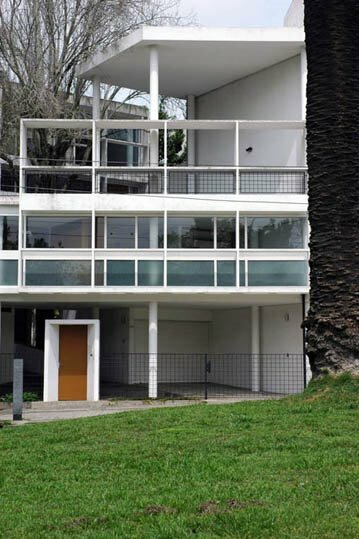 The Casa Curutchet (Curutchet House) is a house designed by renowned Swiss architect Le Corbusier built in the city of La Plata, capital of the Province of Buenos Aires, between 1949 and 1953. 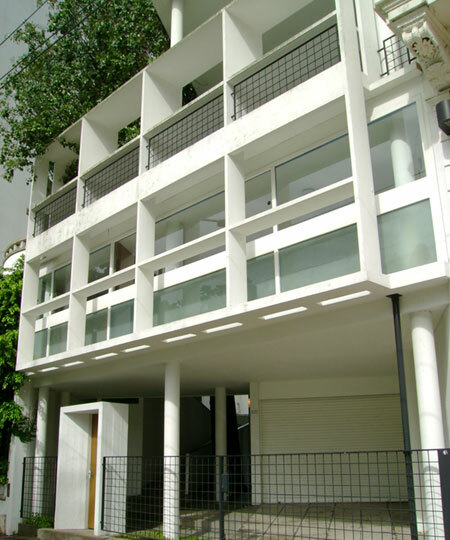 The exact address is Boulevard 53 N º 320, between streets 1 and 2. 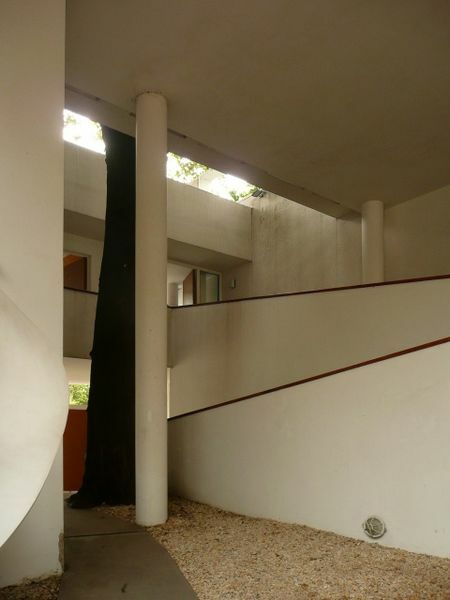 In late 1948, Surgeon Pedro Curutchet wrote to Le Corbusier entrusting the project of his private home in a small batch of 9m and 20 m depth, between party walls, with an exceptional location, facing a broad green avenue and a place linked to the Forest of the city of La Plata, capital of the province of Buenos Aires. Agreed the terms of the contractual relationship begins the preliminary draft in February 1949 under the following residency program to the doctor, his wife, two daughters and a doctor's office, housing, dining room, kitchen, two bedrooms, two bathrooms, desk or guest room, apartment for domestic, garage and utility room. For the clinic: a waiting room, consultation room and cabinet for admission. 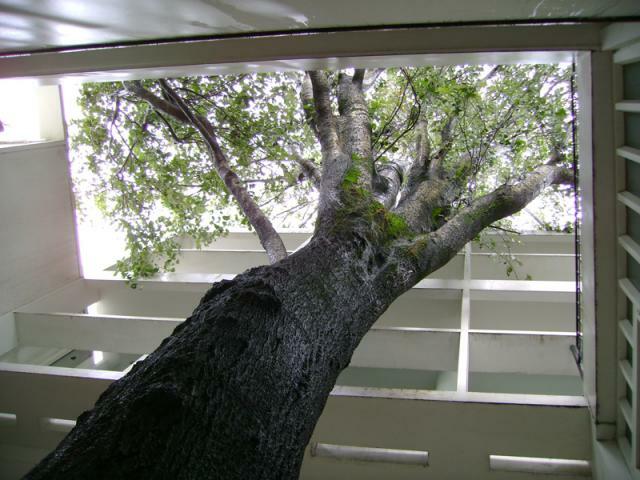 In late 1949, begins the work under the technical direction of Argentine architect Amancio Williams, suggested to Dr. Curutchet, among others, by Le Corbusier. 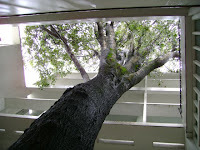 During the course of the work the relationship between Dr. Curutchet and Architect Williams deteriorates reason why Arch.Williams resigns and, in September 1951, Technical Architect Simon Ungar takes charge, and later Mr. Alberto Valdés to finish the work in 1955. 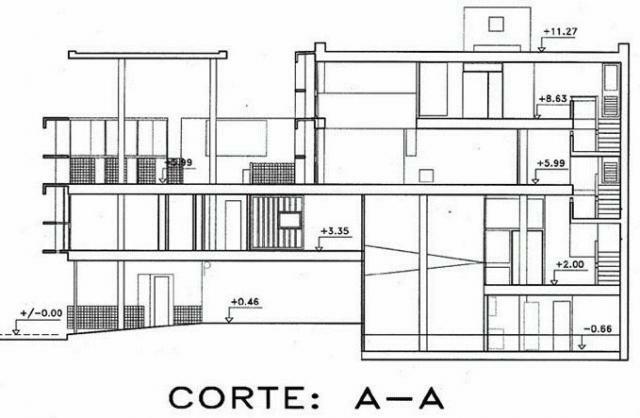 The Curutchet House is the only work of Le Corbusier built in Argentina and the Americas (although Le Corbusier designed projects in the U.S. and Chile ). More importantly, this house is a masterpiece of Corbusian architecture, a superb example of the so-called “machine á habiter”, where the experienced Swiss architect superbly solved its form, function, space and lighting, using the elements and paraphernalia which are typical of its prolific theoretical and practical architectural background. The Curutchet House is open to the public due to its preservation by the Colegio de Arquitectos de la Provincia de Buenos Aires (Institute of Architects of the Province of Buenos Aires), it is opened to visitors who want to know it and contact with one of the emblematic works of the modern movement in Argentina. GROUPS Group visits must be reserved in advance. This enables us to schedule groups throughout the day, thereby avoiding overcrowding.